Do You Need a Root Canal? Learn All About This Common Procedure. A root canal is a very common procedure. According to the American Association of Endodontics, more than 15 million root canals are performed each year, and over 41,000 root canals are performed every single day. So, don’t worry, you’re not alone. Root canal therapy works by removing dead or damaged nerves inside the tooth. Many people experience pain, which leads them to go to the dentist, but often times damaged nerves can be detected even before the pain starts. Root canal pain is no joke. The pain results from the inflammation of nerves and can become quite severe if left untreated. The nerves can become inflamed for a variety of reasons, including spreading tooth decay, trauma to the tooth, and multiple fillings being done on a single tooth. Once nerves of a tooth have become damaged, it is irreversible and the damaged nerves and pulp must be removed. If they are not removed, your risk of infection increases and you may ultimately need your tooth to be extracted. While you won’t look forward to a root canal, it has really become a painless procedure. When your dentist lets you know that you’ll need a root canal, you may become anxious and afraid. You’ve likely heard over the years from friends and family that they’ve had bad experiences. With the help of modern technology and new techniques, root canals have become quick and painless procedures. In fact, you’ll generally leave the office feeling relieved of pain and content that your tooth is safe. We know that many people are uncomfortable at the dentist, so our goal is to make sure you know what we’re doing every step of the way and that you’re comfortable and calm. 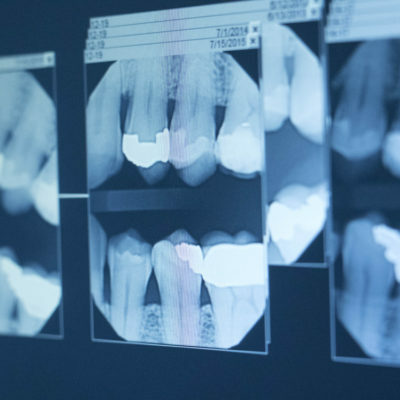 Once your dentist has determined that you need a root canal by taking an X-ray, they will set up a time for you to come back for the procedure to be performed. If you are experiencing pain, or the infection is a concern, your dentist will write you some prescriptions to tide you over until the procedure. On the day of the procedure, you won’t need to take any additional measures such as fasting unless your dentist specifically tells you to. On the day of the procedure, you may be worried about the pain, but there’s no need to worry! Local anesthesia will be applied to the affected area to ensure you feel no pain at all. In fact, getting a root canal is a quick procedure, too, so this shouldn’t feel any different than a typical dental visit or filling. Once the area is numbed, the dentist will begin to perform a pulpectomy. Simply put, the dentist will remove the decayed pulp from your tooth. This procedure is what allows you to keep your tooth intact instead of extracting the entire tooth. Once the pulpectomy is completed, your dentist will fill in your tooth and send you on your way! In a few weeks, your dentist will reschedule you to come back and have a crown placed over the tooth to protect it from being damaged. If you think you may need a root canal, please do not hesitate to reach out to your dental practitioner. If the issue is diagnosed early, you can save yourself the risk of disease and pain of an infected tooth. If you are in the Liverpool, NY area, please reach out to Dr. Andrew J Goss at (315) 652-3811 or schedule an appointment online.